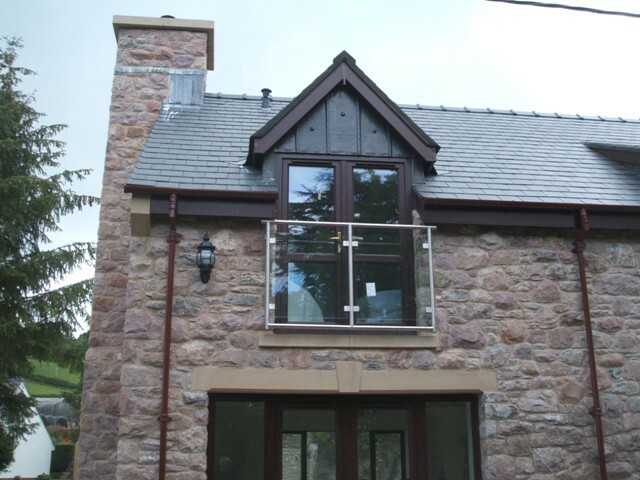 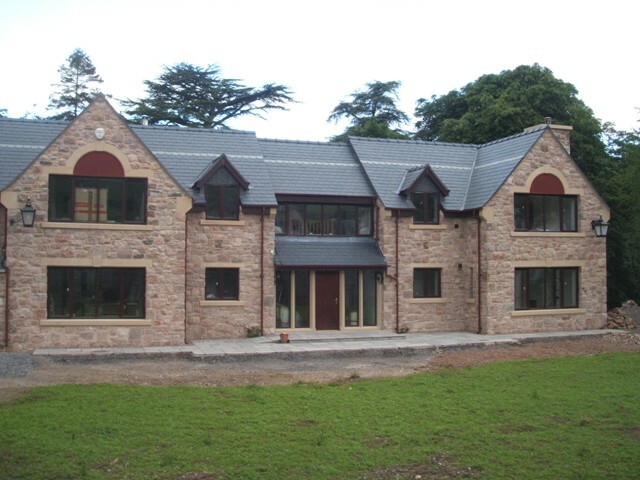 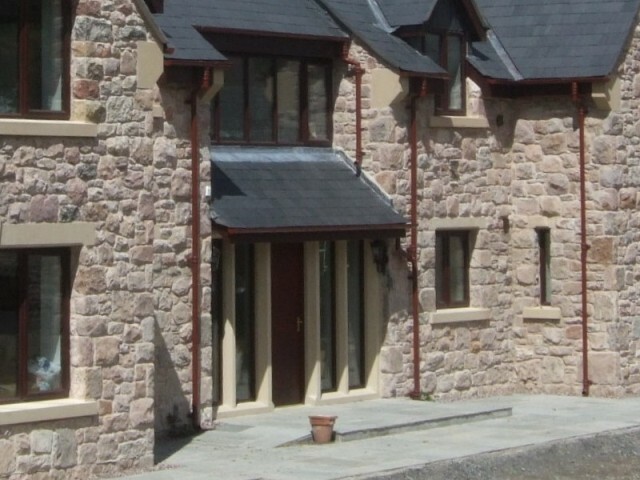 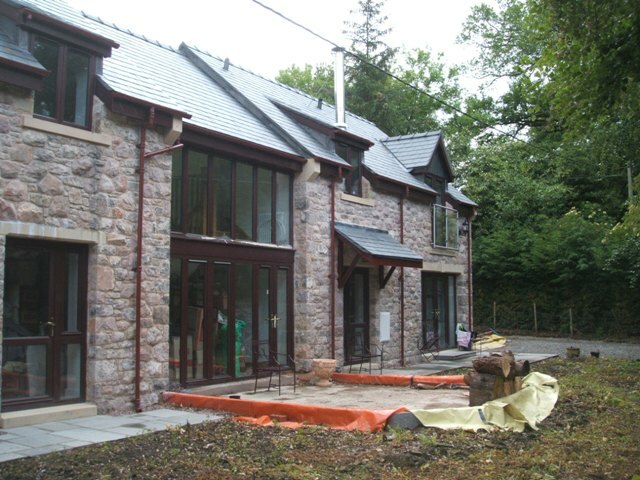 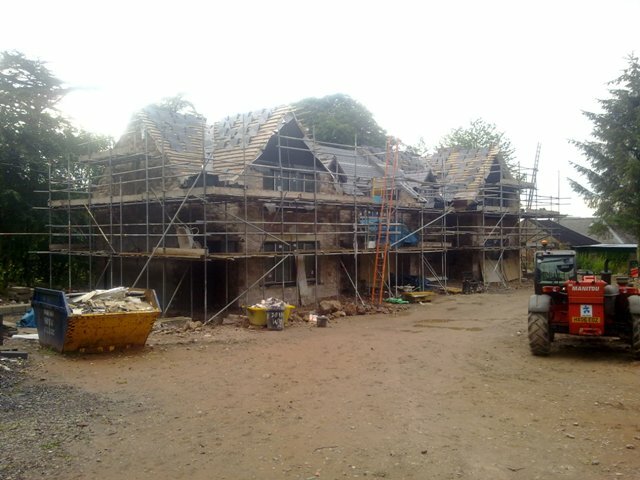 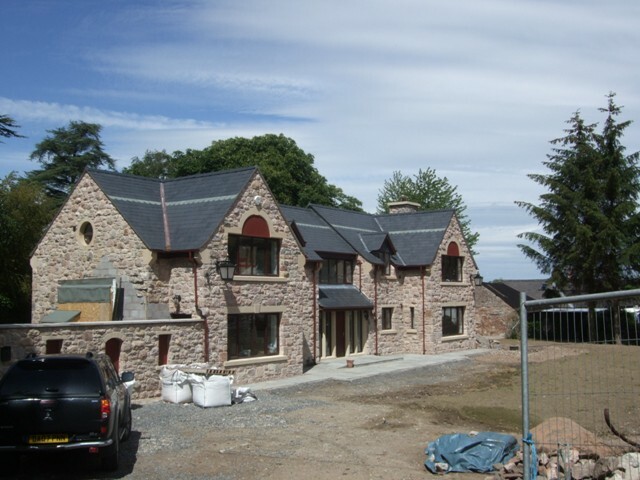 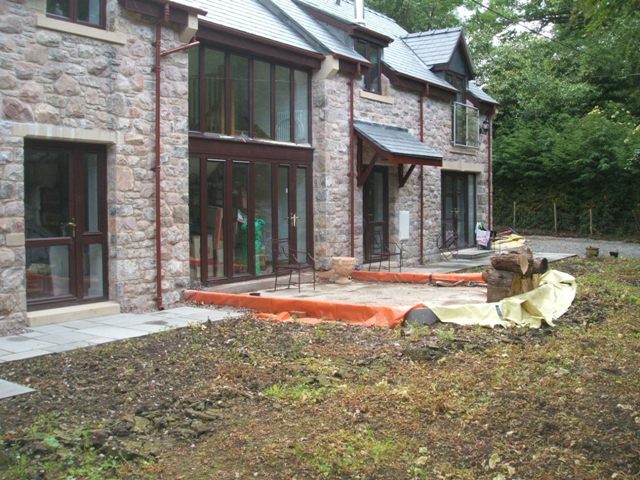 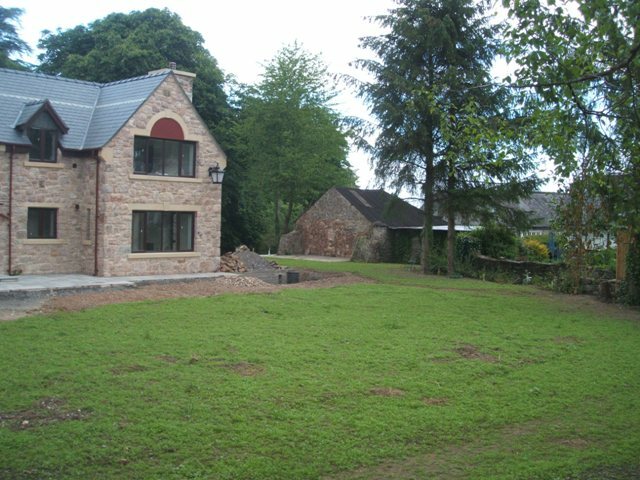 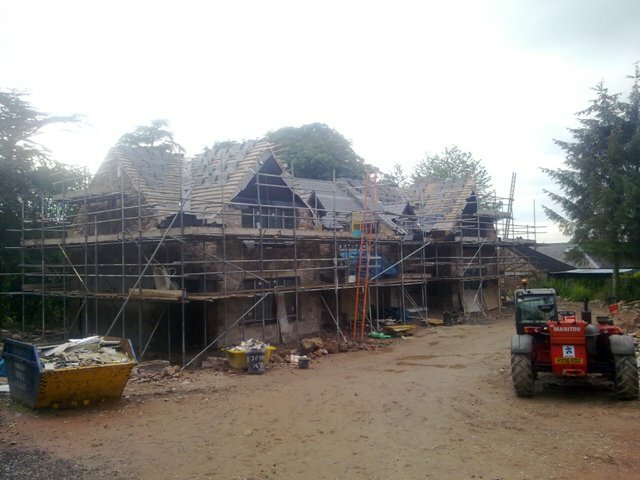 New build development from a private client in Denbighshire: designed by local architect John Pugh and the main building contractor was Carroll Builders in Ruthin. 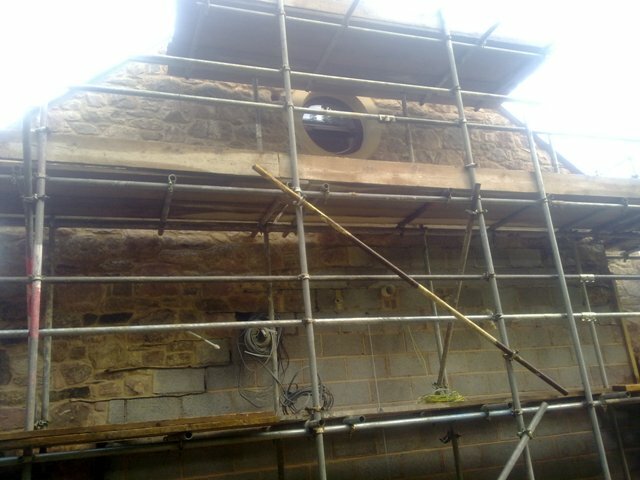 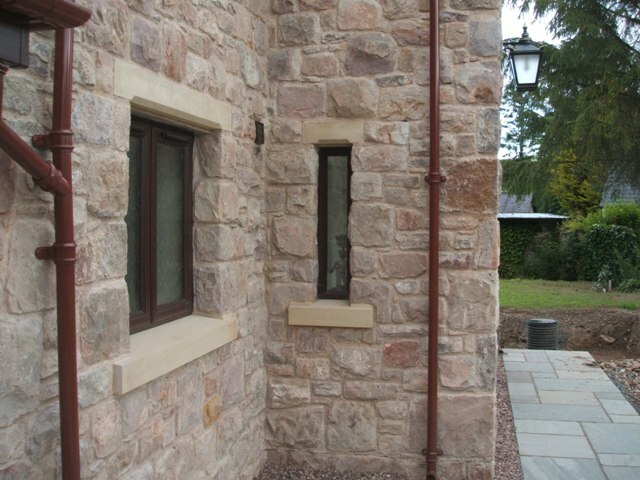 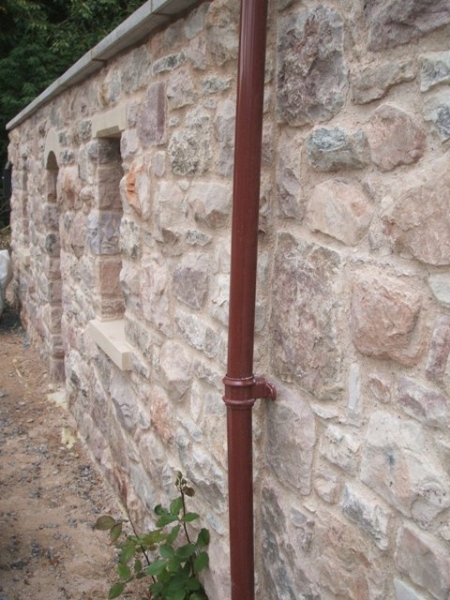 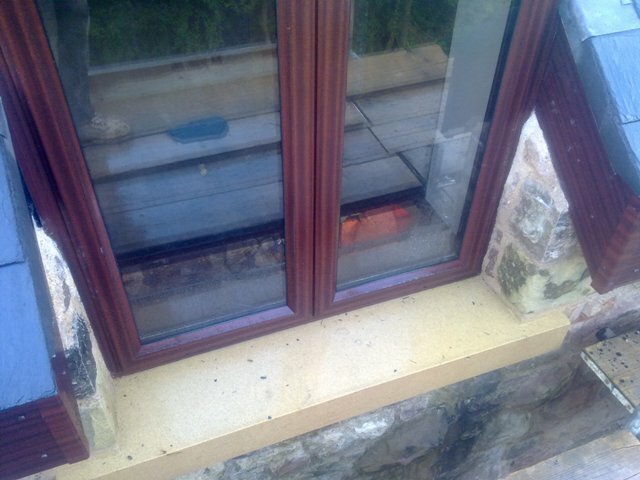 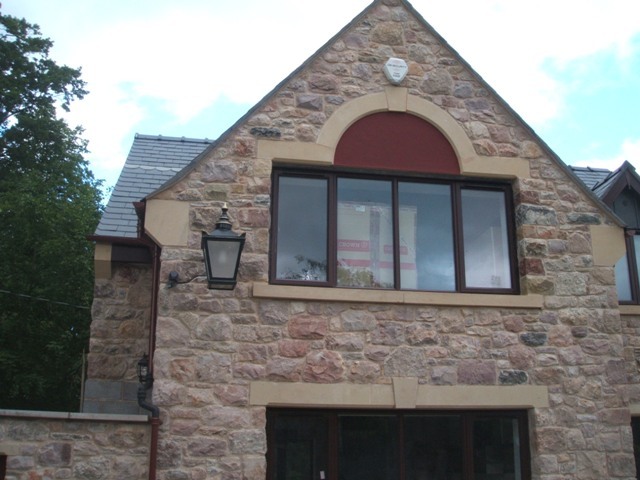 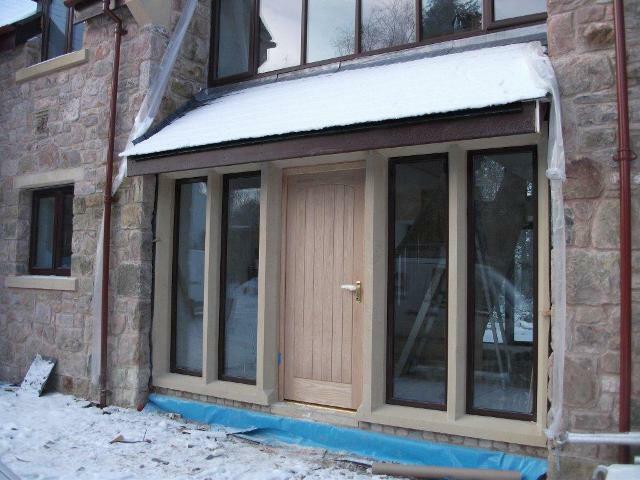 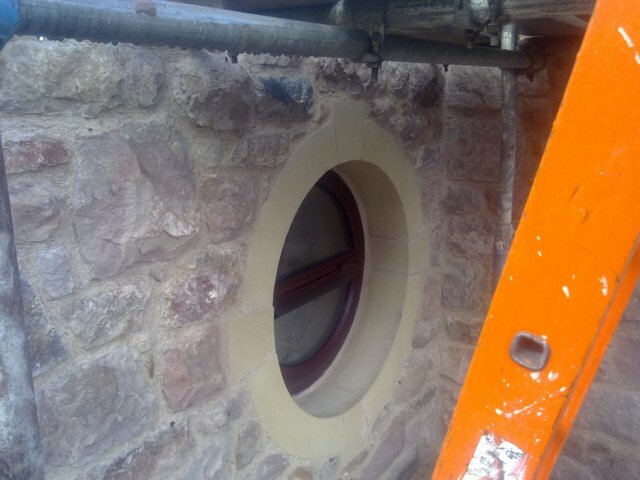 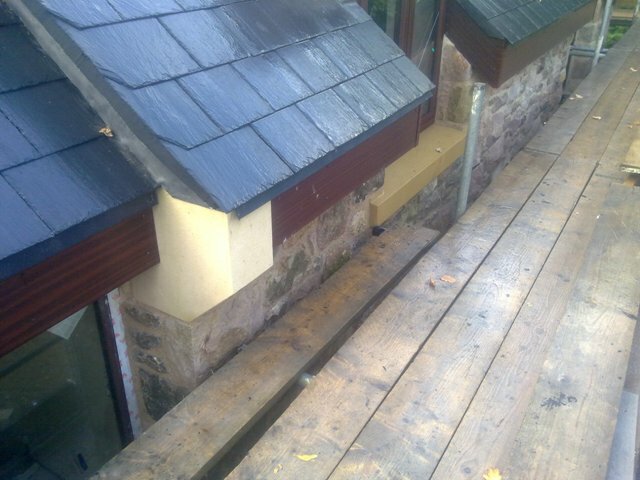 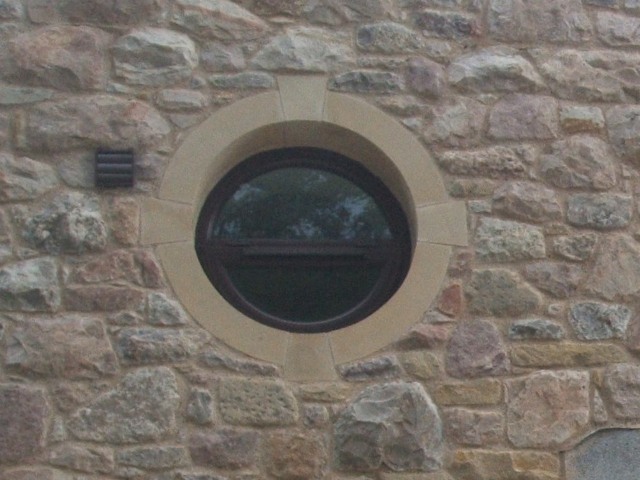 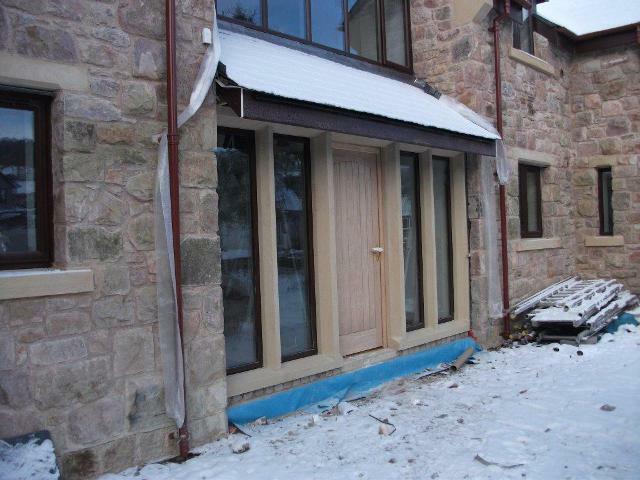 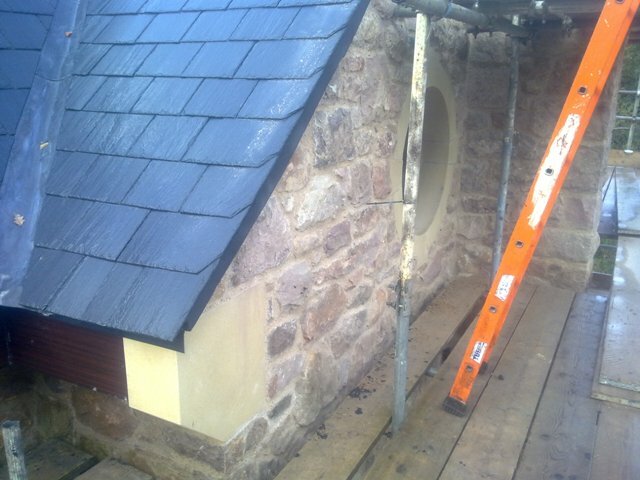 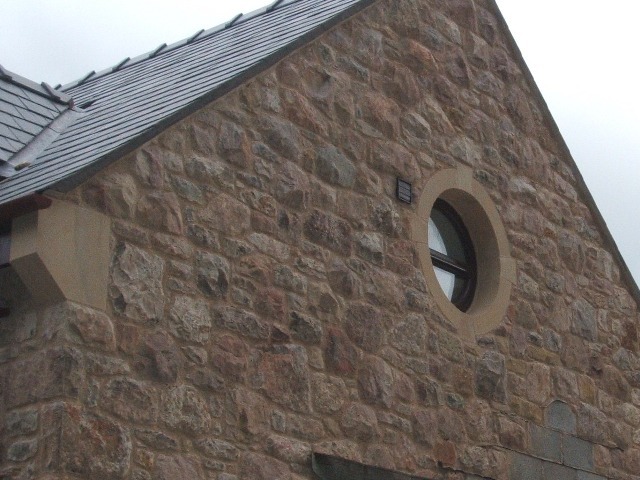 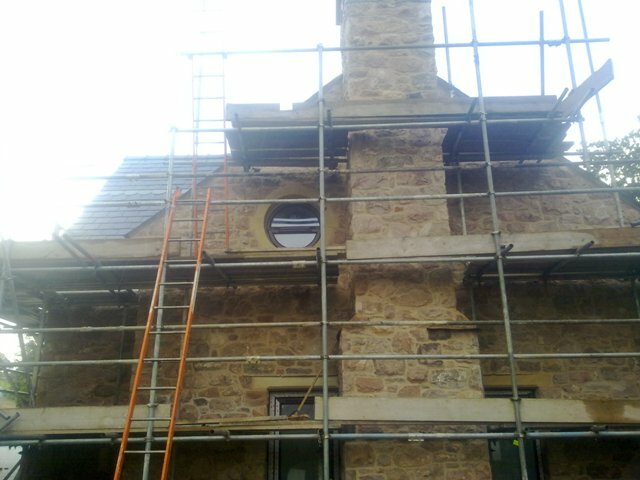 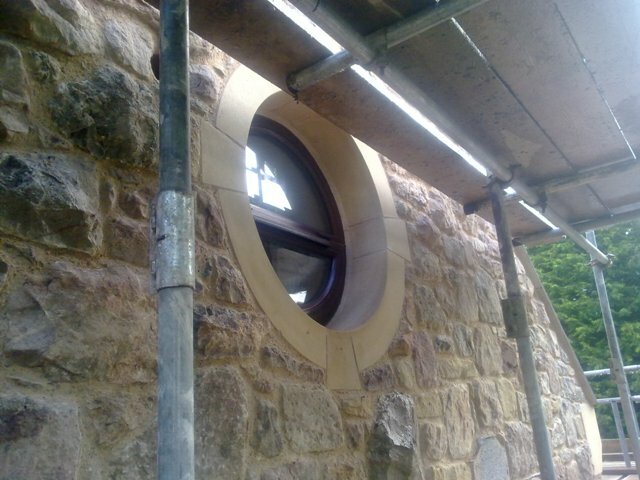 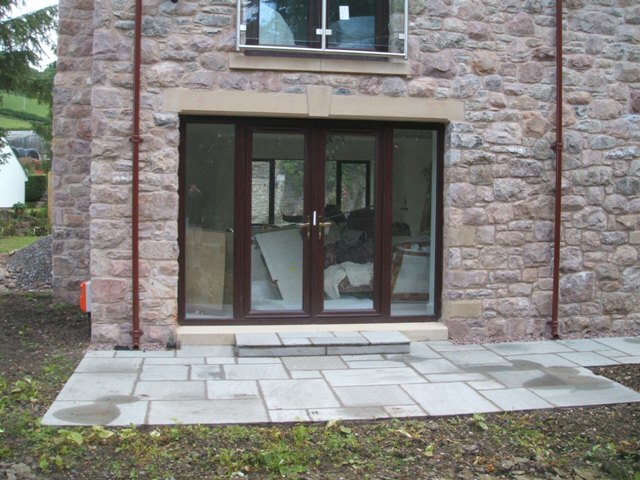 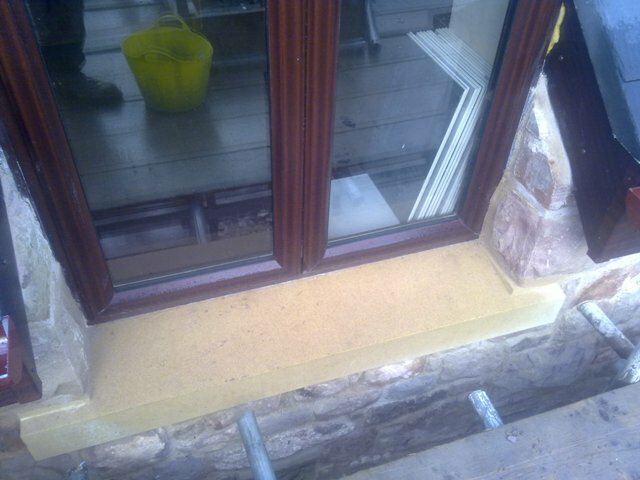 We supplied buff sandstone cills for all of the windows, arched windows and the bullseye window. 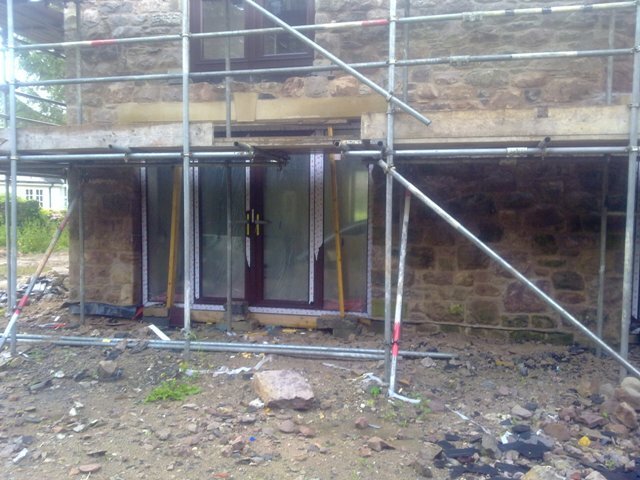 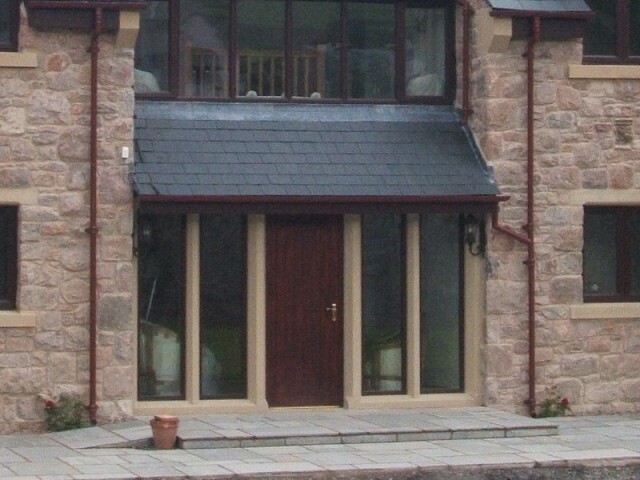 The project was finished off with the front door surround featuring four full length mullions.